Happy young woman clenched her fists. Beautiful surprised business woman cheering and celebrating victory with raised fists. Expression of goal achievement. 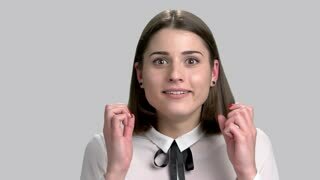 Young excited woman clenched her fists. Close up portrait of happy confident lady celebrating victory with raised fists. Concept of business achievement. Happy young woman clenching fists. Young surprised woman celebrating victory on blurred background. Facial expressions of triumph. Successful young woman looking surprised. Young attractive woman celebrating victory raising her clenched fists close up. Concept of business success. Young excited woman on blurred background. Portrait of happy ecstatic winning successful young woman clenched fists hand celebrating the victory. Slow motion excited businessman clenched fists. 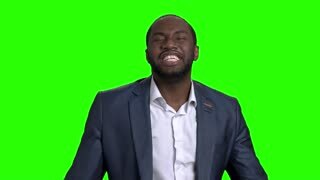 Happy successful afroamerican manager or businessman celebrating goal achievement on chroma key background. Rejoices triumph at work. Excited businessman celebrating victory. 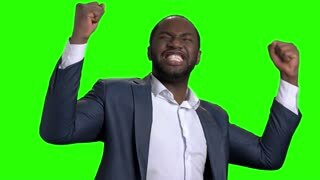 Slow motion happy cheerful male corporate clenched fists on chroma key background. Career achievement concept. Excited woman celebrating victory. Happy mature woman clenching her fists in excitement. Human expresion of victory. Happy excited woman celebrating victory. 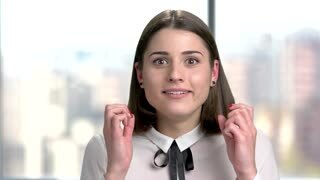 Joyful mature business woman clenching her fists in excitement. Victory and success concept. Joyful businessman clenching his fists in excitement. Ecstatic middle aged entrepreneur celebrating victory with hands gesture. Successful deal concept.